Do you need answers to your Powder Coatings technology questions? Have you recently lost a needed technical resource? 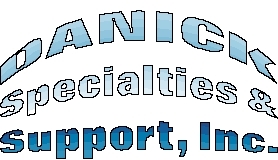 Danick Specialties & Support can help! Danick Specialties & Support, Inc. will provide outstanding and credible solutions to problems facing the powder coatings market. Our resources and 30 + years of experience are uniquely capable of providing workable answers to questions and problems arising from the powder coatings industry.